Based on the novel: Sango Malo: Le maître du canton by Bassek Ba Kobhio. L'Harmattan. 1991. Ukadike, Nwachukwu Frank. Black African Cinema. Berkeley: University of California Press, 1994. 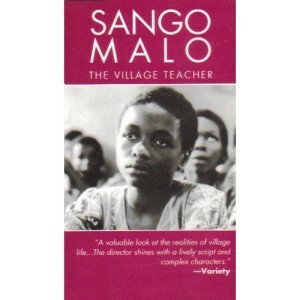 "Sango Malo reflects the thematic continuity and stylistic diversity of African cinema. Its topics - the relevance of education and human solidarity - are timeless and universal." Diawara, Manthia. African Cinema: Politics and Culture. Bloomington: Indiana Univ. Press, 1992.